It’s easy to see why Marrickville is one of the Inner West’s most in-demand suburbs. The unique community spirit here is alive and well. Though gentrification is creeping in, there’s still much on offer in the way of food, drink and cultural experiences that aren’t cookie-cutter representations of what you’ll find in other parts of Sydney. Here’s how to spend an ideal Sunday in the area. 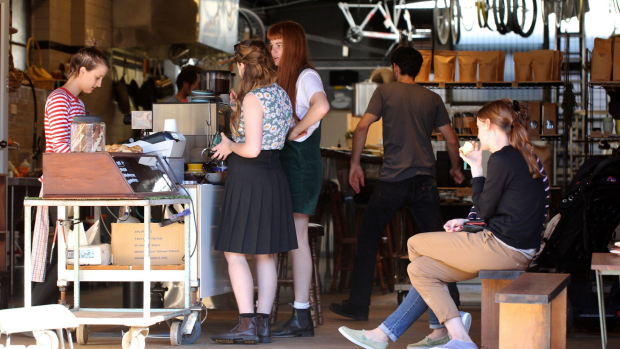 One of Sydney’s most precise and dedicated coffee roasters is also one of its most unassuming. Tucked into a tiny corner space in an industrial Marrickville setting, Coffee Alchemy‘s room is sparse with little to no food offering. Thus, the focus sits squarely on their single-origin beans and near-perfect extraction. 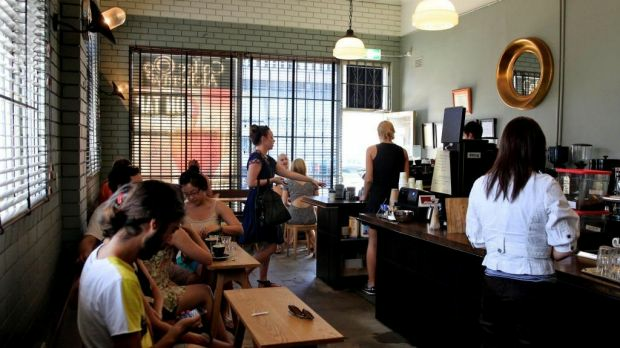 Cornersmith Cafe was a game changer for Marrickville. Owned and run by husband and wife team James Grant and Alex Elliott-Howery, the cafe’s down-to-earth menu focuses on local produce, so much so that they encourage locals to drop in their surplus home-grown lemons, zucchini, herbs and more to swap for pickles and relishes. Cornersmith is known for its pickles and ferments (see them shine in a two-cheese and pickle toastie or on a ploughman’s plate), and a dedicated retail and education space, the Cornersmith Picklery, has been built down the road for workshops on everything from pickling to cheesemaking. Held on Sundays from 8am-3pm, this outdoor market teems with fresh organic produce plus good things to eat (corn fritters with bacon and yoghurt, piping hot pho), drink (spiced chai tea, kombucha, green smoothies) and buy (plants, books, clothing). Stock up on goods for the week ahead and make the most of the sunshine lounging on cushions at the market’s famous chai tent. 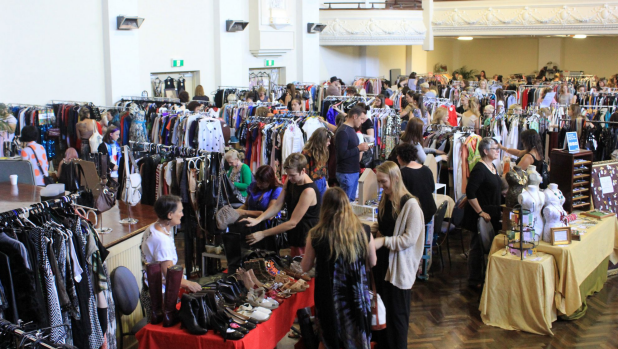 Vintage, second-hand designer ware and creative fashion is to be found at the monthly Round She Goes fashion market in Marrickville’s Town Hall. Dig deep through the racks to find pieces from top names in Australian fashion such as Romance Was Born, Gorman and Alpha 60. Can’t make it? They also have a small online store. Behind a nondescript roller door on a quiet street, Two Chaps cafe and bakery takes a sustainable approach to breakfast and lunch. All bread and pastries are made by hand, and the entire menu is vegetarian. Though by the looks of their hand-made pasta and sandwiches bursting with broccollini, fior di latte and pesto, or aged cheddar, pickled corn, kale and harissa mayo, you won’t miss the meat. 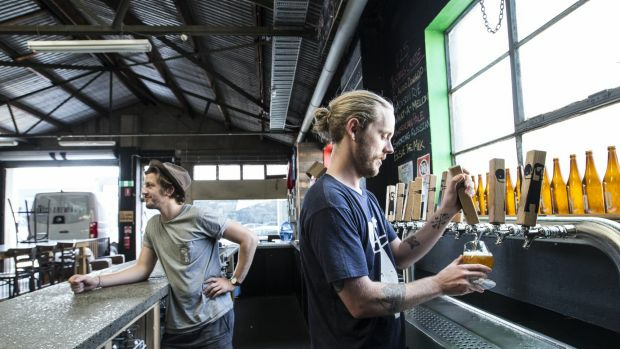 Marrickville is an epicentre for craft brewing, and more just keep popping up. After perusing craft beer shop Bucket Boys on Illawarra Road, work your way from the chesterfield lounges at Batch, to The Grifter and the wild yeasts of Wildflower and spend a few hours working your way through a range of experimental brews. 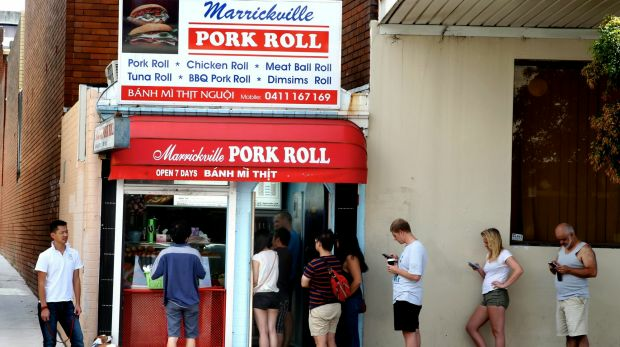 If you can manage it, no trip to Marrickville is complete without a stop at Marrickville Pork Roll, set in what was once an old toilet block. A line snakes down the street most weekends for a roll stuffed with pate, pork, fresh herbs and salad, all for somewhere around $5. What? Dinner at the local tennis club? Casa do Benfica is one of Marrickville’s best culinary secrets. All the traditional flavours of Portugal are served from a simple dining room, from soupy, garlicky tomato rice filled with a variety of seafood to big clams with lemon and garlic and skewers of tender beef. An all-Portuguese wine list is offered to match, and prices are unbelievably approachable. Book ahead. In what was once an actual newsagency selling papers, magazines and Lotto tickets is now a miniature live music venue promoting independent and experimental artists. Fitting only 40 and with a fantastically rare BYO policy, this is one of Sydney’s most intimate and interesting acoustic music venues. Line up for jazz at Lazybones Lounge. 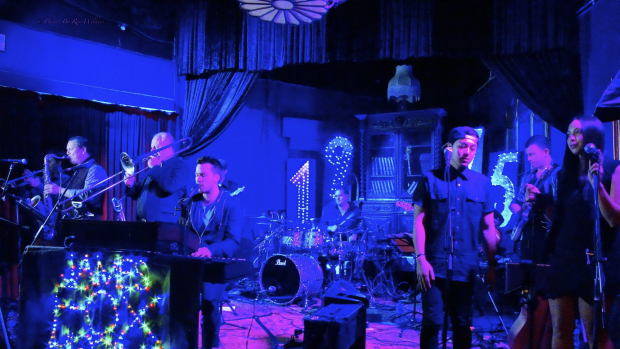 End your day in Marrickville with a nightcap served with a side of jazz at Lazybones Lounge. The interior is a mish-mash of crazy stuff – murals, chandeliers and fake flowers – but that’s why we love it. The gig program is fittingly eclectic, too.